Swollen thorn acacia trees pay their ant guardians with nectar. 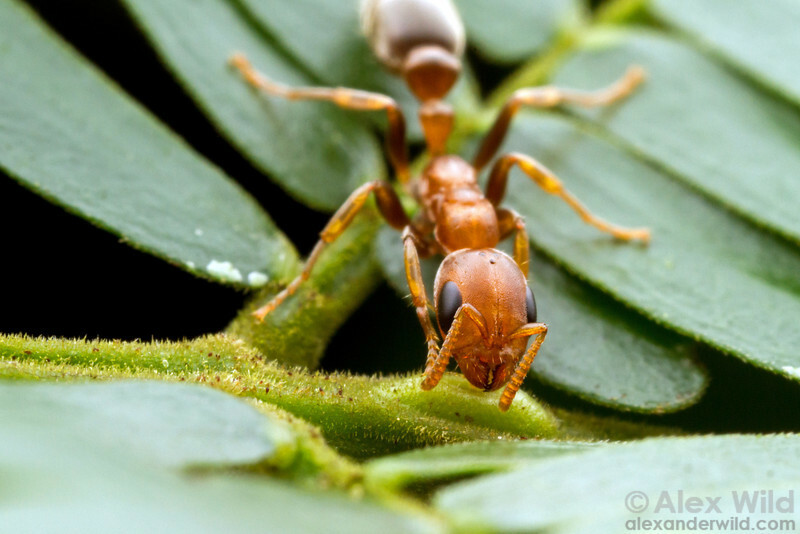 Here, a Pseudomyrmex peperi worker feeds from a nectary. Cayó District, Belize.